Hong Kong-Style Milk Tea is something that I’ve grown up drinking. If you’ve ever popped into a Hong Kong cafe, you’ll be able to find it on the menu and everyone has their own way of making it up – but the general idea remains the same: black tea, milk, and sugar. And don’t be skimping on the fat content, because the richer the milk, the better! 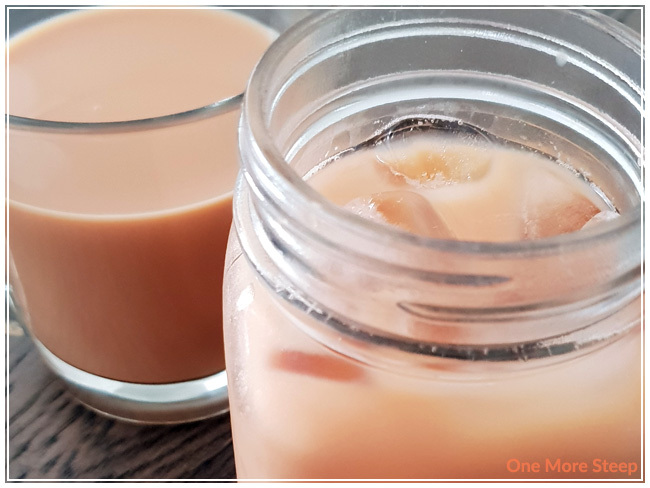 Hong Kong-Style Milk Tea is also frequently referred to as “pantyhose tea” or “silk stocking tea” because of the material traditionally used to filter the tea – but that’s just too much effort (and to much of a mess!) to do at home. I grew up drinking Hong Kong-Style Milk Tea at home, where the tea used was bagged Orange Pekoe (Red Rose brand, if you’re curious). Any black tea will do, but I keep Red Rose on hand for making milk tea. When I was younger and I drank this, I’m pretty sure it was more milk than tea with a lot of sugar. 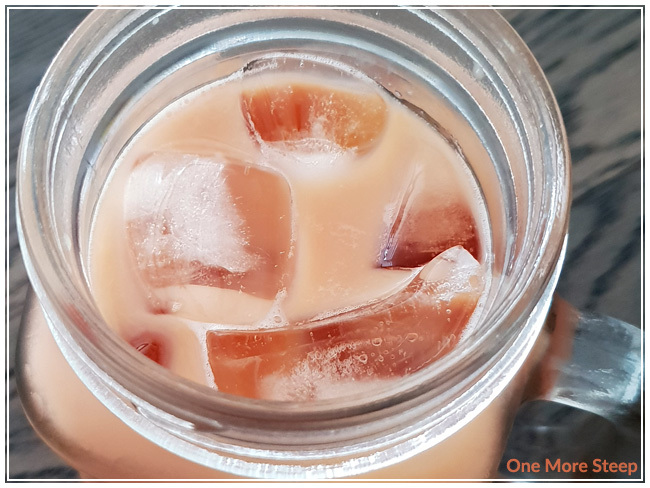 I’ve since adjusted my ratios to become more tea, less milk, and a bit less sweet – but the condensed milk is still a must (or else I just use evaporated milk and white sugar…). Steep the tea – I usually do 3 minutes. Stir in sweetened condense milk or evaporated milk. Add sweetener of your choice (if using evaporated milk). Stir in sweetened condensed milk or evaporated milk. Pour over ice, and give it a stir. 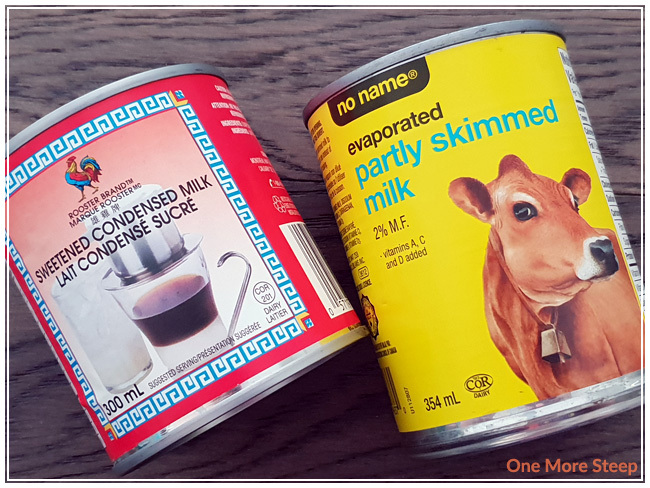 * If not using sweetened condensed milk. 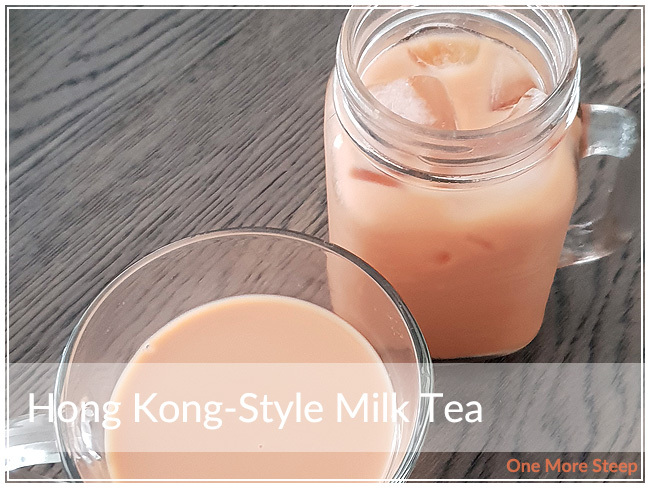 Hong Kong-Style Milk Tea is a nice treat to have, and I’m pretty sure I’ve had it every single meal at this point in my life – and after dinner! It goes great with breakfast (sweet or savoury), and it’s just a nice little treat. If you’re watching your sugar intake, I’d recommend going with the evaporated milk. You still want it to have a full-bodied richness in terms of the creaminess, so don’t use regular milk (it’s too thin).